LawBusiness 1.1 newest version : Released on May 2nd, 2014. 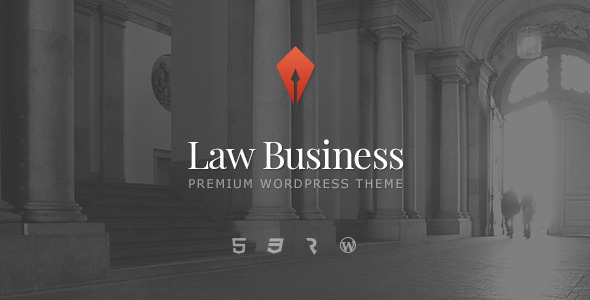 Law Business WordPress Theme is an ideal solution for a private attorney website as well as for larger law office websites. It includes all the neccesary functionality to present legal services online. Custom Services post type lets you provide a gallery of services in an attractive and handy way, describing legal solutions your office offers. If there is a team of lawyers working for your office, Law Business theme provides a great way to showcase attorney personal profiles. 23 Custom Shortcodes – Law Business theme includes 23 custom shortcodes, developed by cmsmasters that will help you create really diverse and interactive pages. All shortcodes are in-built into a handy drag’n’drop editor that allows you easily create lawyer profile, legal services and other law related content.